The Dodge Durango is the King of SUVs, and the 2018 Dodge Durango goes even further while wearing that crown by giving you more power, more choice, and more comfort. This large family sedan is inspired by muscle cars, which can be seen in the standard V6 engine, and the not one, but different V8 engines! That is a lot of power in an SUV that a comfortably seat seven. If you are looking for the new additions to this model year, then look no further! The 2018 Dodge Durango is debuting a new model option, the Dodge Durango SRT. 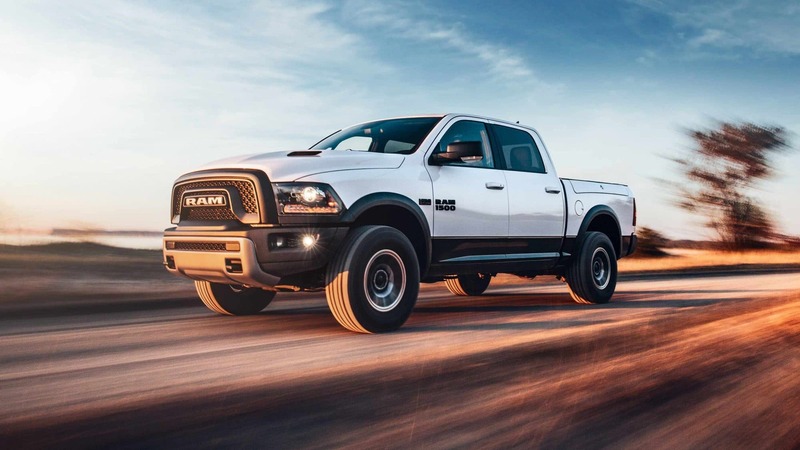 This powerhouse Durango punches up the power to 475 horsepower with a V8 engine. Other new items include a rearview camera that comes standard with every model, along with a 7-inch touchscreen interface and Android Auto and Apple CarPlay. 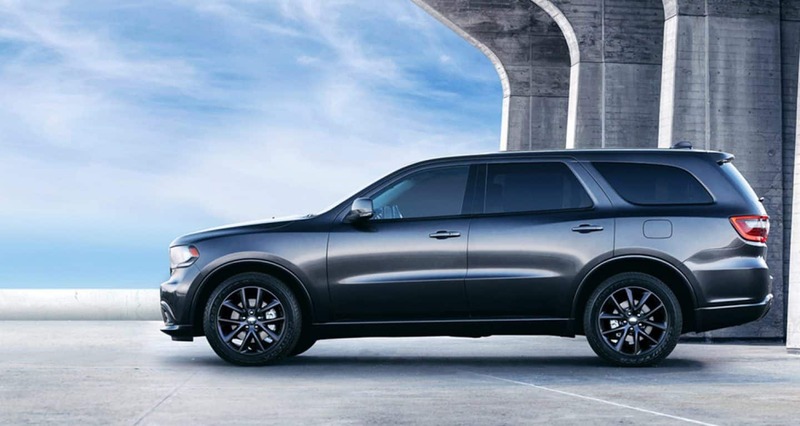 What safety options are available with the Dodge Durango? The 2018 Dodge Durango features a wide variety of safety and security features, over 60 to be exact! Some of these features include adaptive cruise control with stop, seven standard airbags, standard trailer-sway control, front-row active head restraints, blind-spot monitoring, Uconnect Access with 911 call and roadside assistance, rear cross path detection, and forward collision warning with crash mitigation. What model options are available with the Dodge Durango? With the addition of the new Durango SRT, there are now five different model options available with this three-row crossover SUV. 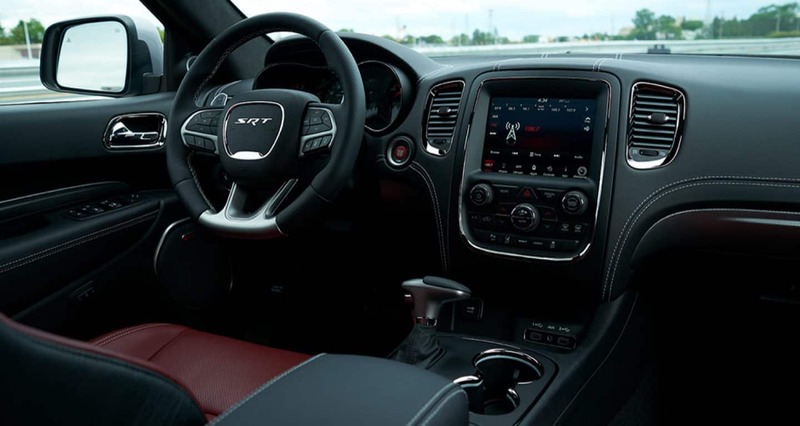 The base model is the Durango SXT, featuring technology like a rearview camera, a 7-inch touchscreen interface, dual USB ports, Apple CarPlay and Android Auto smartphone integration, and a sound system with six speakers. Other features include a 50/50-split folding third-row seat with power-folding headrests, heated mirrors, 18-inch alloy wheels, tri-zone climate control, keyless ignition, a 60/40-split reclining and folding second-row seat, cloth upholstery, and a load-leveling suspension. When it comes to looking for the perfect model, something right in the middle could possibly offer everything you need! The Durango Citadel gives you a power-adjustable steering column, front parking sensors, roof-rail crossbars, a navigation system, ventilated front seats, automatic wipers, xenon headlights, automatic high beams, a sunroof, upgraded leather upholstery, a Uconnect system with an 8.4-inch touchscreen interface, and a cargo cover. Additionally, this model features a nine-speaker audio system with adds an HD radio with a subwoofer. 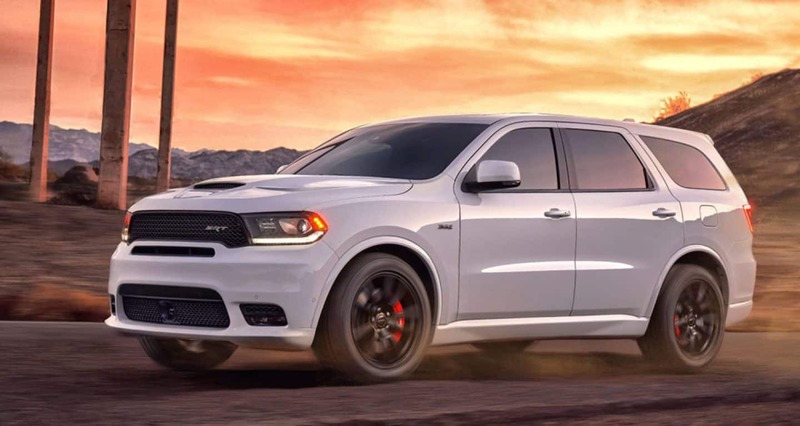 The new model, the Durango SRT, is a powerhouse, focusing on performance. Features in this aggressive Durango include SRT Performance Pages with various configurable performance parameters, performance-tuned steering, a session at the SRT Track Experience driving school, electronically controlled limited-slip differential, and an adaptive suspension! The Durango GT and R/T are just as impressive as the three previously mentioned models and offer features that make them stand out from the crowd. What are the powertrain options available with the Dodge Durango? 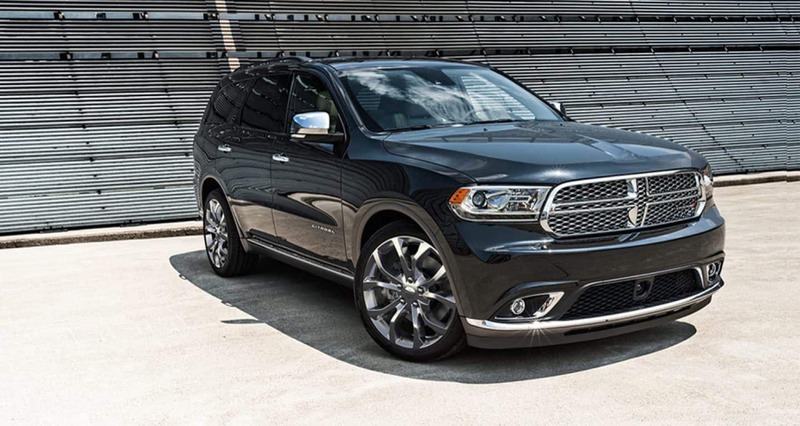 The Dodge Durango is as popular as it is due to the powerful engines that are offered with this world-class vehicle. The powertrain that comes with the Durango SXT is the 3.6-liter V6 that can generate 260 pound-feet of torque and 293 horsepower. Paired with this powertrain is an eight-speed automatic transmission and RWD with available AWD. The Durango R/T gives you the 5.7-liter V8 powertrain that can create 390 pound-feet of torque and 360 horsepower. You can also choose this powertrain with the Durango Citadel. This powertrain also pairs with RWD and an eight-speed automatic transmission, although you can choose AWD. The highest powertrain available is with the Durango SRT, the 6.4-liter V8 with 470 pound-feet of torque and 475 horsepower. All-wheel drive comes standard with this powertrain, as does the eight-speed automatic transmission. 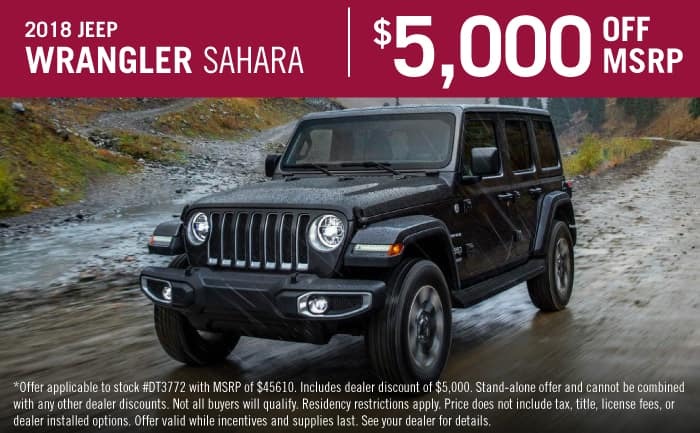 This powerhouse of an SUV gives you everything you could possibly want, and then some, with three powerful engine options and five different models! Schedule a test drive with us today!